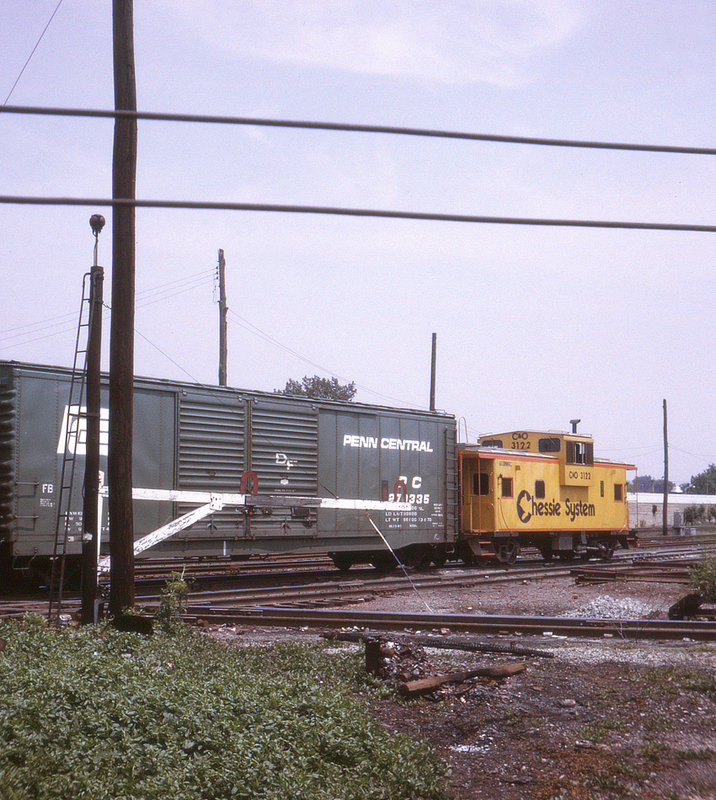 By this time both Chesapeake & Ohio and Baltimore & Ohio locomotives and cabooses were starting to appear in the striking Chessie System color scheme, complete with the inimitable Chessie Kitten silhouette logo as seen here on caboose no. 3122. With the B&O and C&O still being operated as separate railroads, such rolling stock included the initials of the owning company as seen here. The gate protects the crossing with the former Nickel Plate Road (by now Norfolk & Western). This train is on Rock Island rails, with the C&O's own tracks visible behind the train.